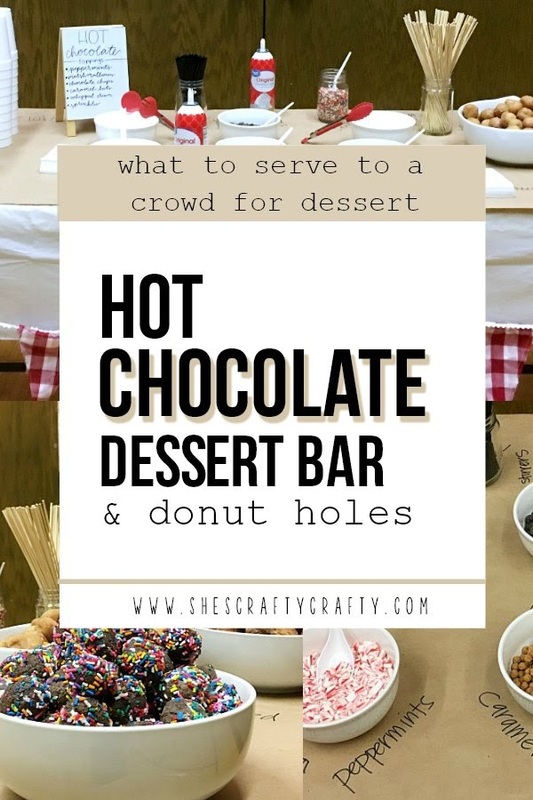 What do you serve a crowd for dessert during the winter? This would especially work well for a youth group! 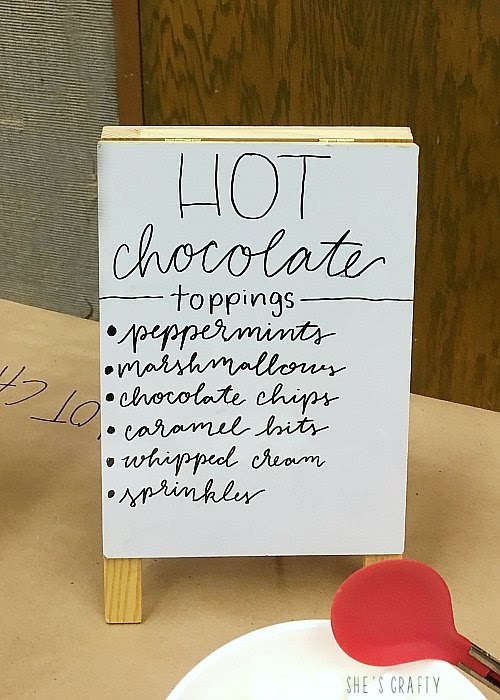 I served this to a huge group (like way bigger than I thought) of youth in my area after a big evening talk. 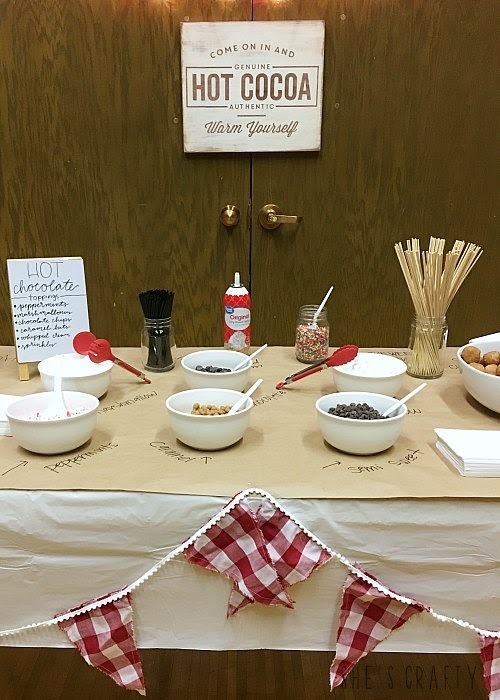 A Hot Chocolate Bar is the perfect thing to serve to a large crowd because each person can customize their own cup of hot chocolate! I used kraft paper as a table cover. Then I write the topping choices onto the paper. I should have doubled or tripled the amount of whipped cream I served. 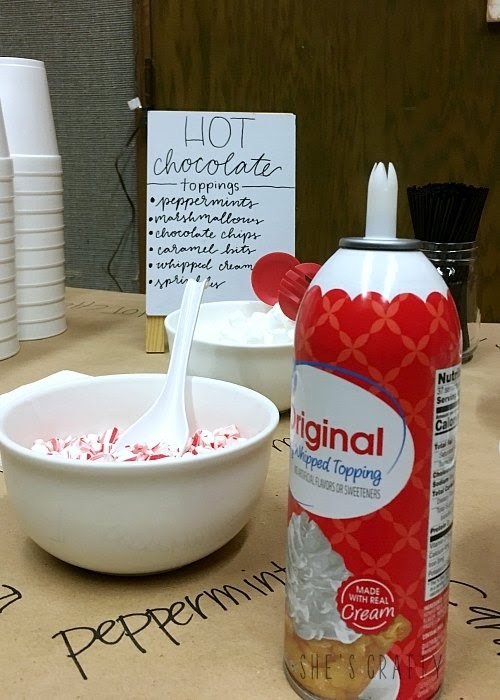 I heated hot chocolate in crock pots (crock pot hot chocolate recipe) and served it in styrofoam cups. 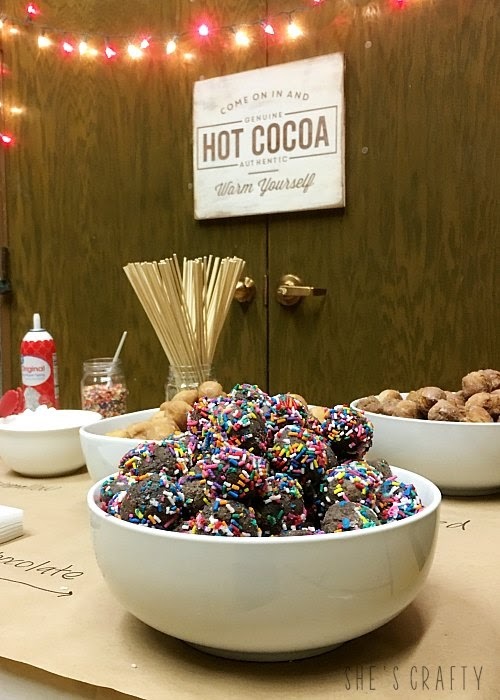 I also served assorted donut holes on skewers. 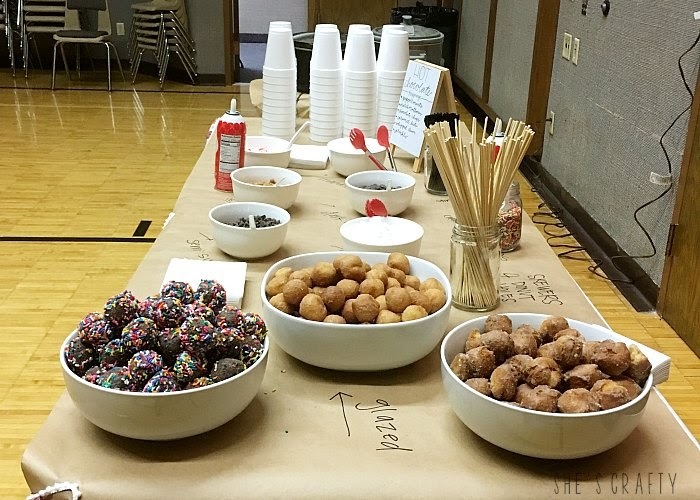 I should have written down how many donut holes the youth were allowed to take. Those early in the line took many and those in the back of the line got 1 or none. 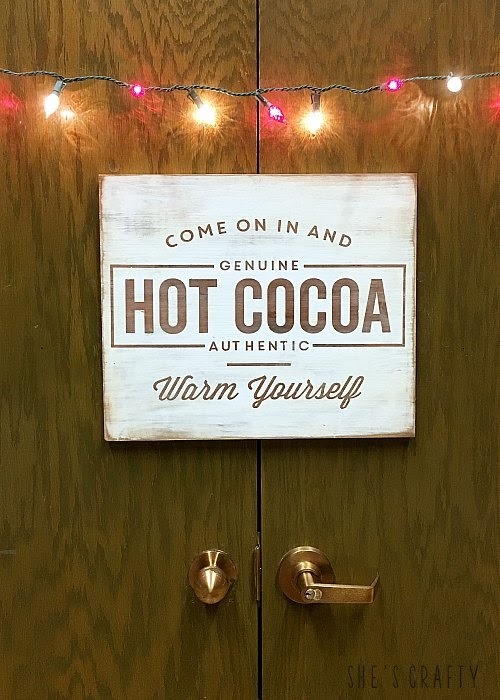 I made a Hot Cocoa wooden sign and hung some red and white lights around it. I used a red and white checkered banner to decorate the table. 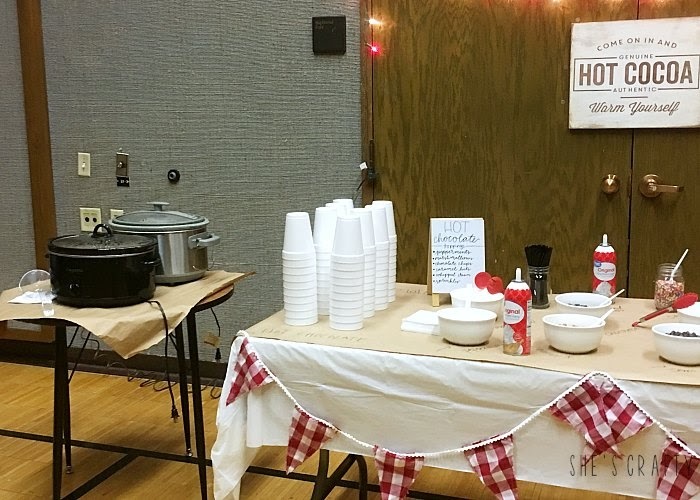 A Hot Chocolate Dessert Bar was perfect to serve to a great big group of youth! They were able to help themselves and really enjoyed it! This is brilliant - and delicious! 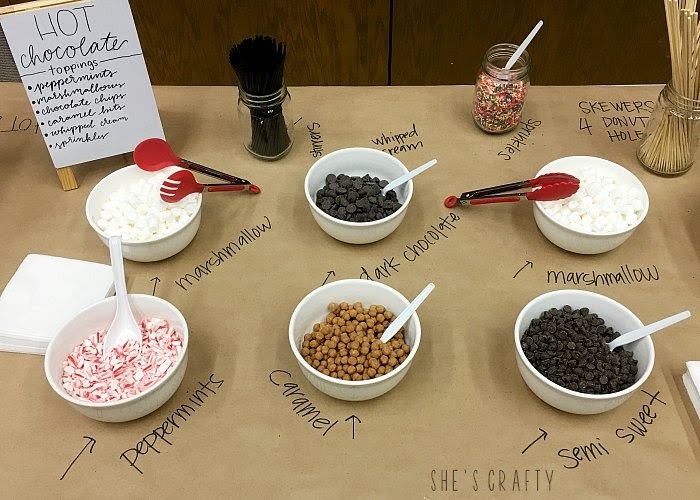 My daughter would go nuts over this, and I will definitely be tucking this idea in my back pocket for future birthday parties for her. She has a winter birthday, which narrows the options somewhat. This would be perfect, though! 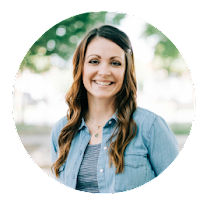 Thanks for sharing at Sweet Inspiration! Thank you for your kind words! 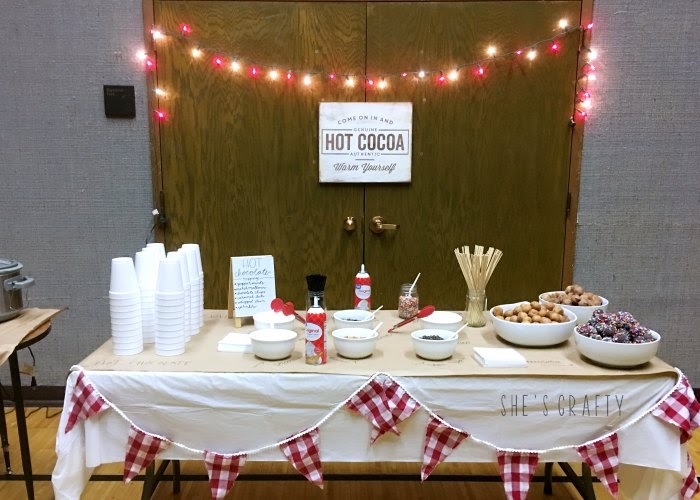 This Hot Chocolate Bar was a big hit with the youth that attended!